Landis, Matthew. 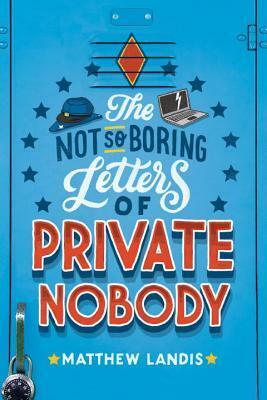 The Not-So-Boring Letters of Private Nobody. How much did I love this book? I've spent the last of the the school board money for the year, but unearthed some Barnes and Noble gift cards when I was cleaning. I am going to order three copies so I don't have to wait until next year to give this book to my students. This books sounds sweet. I put it on my list. Hoping my library gets a copy.